The 7/7 London Bombings: A Decade of Reflection. 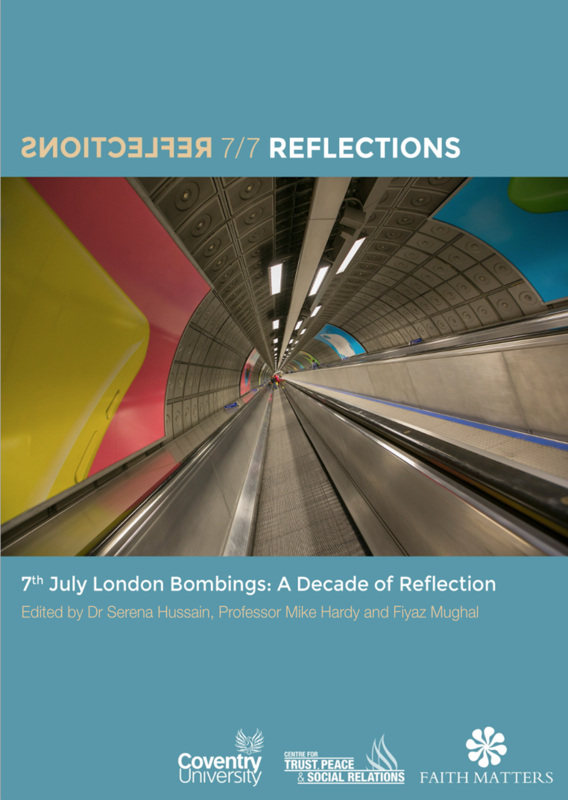 This report is a set of reflections from key social activists, academics and civil society leaders who experienced the social impacts of 7/7 or who have worked with communities shaped by the experiences of 7/7 and scourge of extremism and terrorism. It is an insight into the private and public experiences of individuals and their perceptions of the local, national and global changes that have shaped this generation and their security within nation states. The London bombings changed the lives of many and brought in a period of securitisation that has affected many communities. The report highlights the impacts on faith communities and changes in the Government’s Prevent (Preventing Violent extremism) agenda and puts forward a set of views on the events of the last decade. Some of the commentators highlight the pathology of extremism and how it shaped perceptions of and public policy making around one faith community, itself, extremely diverse in terms of theological and faith based traditions and concepts. The report is a joint partnership between the Centre for Trust, Peace and Social Relations in Coventry University and Faith Matters and we hope that it adds to the discourse and debates on extremism.